CAPA is a vital part of our community, supporting students, teachers, and parents through a wide range of activities. All parents and guardians of students at Commonwealth are automatically members of CAPA, and are invited to become actively involved. Parents organized a very successful 20th Anniversary Block Party. You are welcome and needed to play an active role in CAPA. There are many ways to participate, depending on your time, talents and interests. Come to a CAPA meeting to learn about the activities and events that need your support or contact a CAPA officer to get involved! To find out more about the Commonwealth Academy Parents Association, please contact one of CAPA's officers. To send an email, just click on a name below, or right click to copy the email address to your clipboard. All parents are invited to CAPA General Meetings, which are held on a monthly basis at C/A. The meetings are generally held on a Friday. 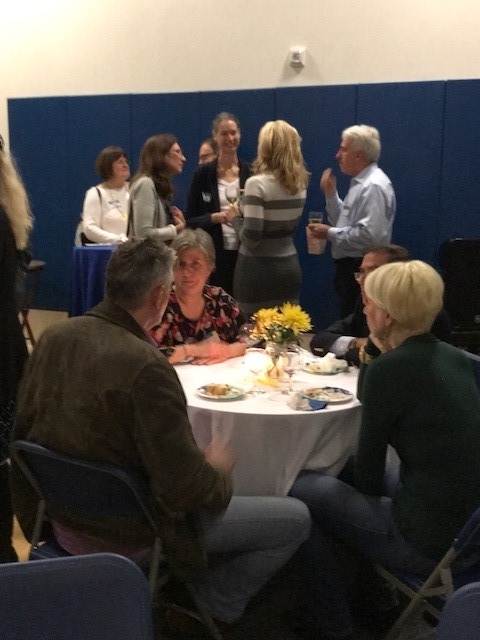 The beginning of the meeting (from 7:45 a.m. - 8:00 a.m.) is set aside for coffee and social time; the business portion of the meeting starts at 8:00 a.m.
Read the biweekly parent newsletters for up-to-date information on CAPA meetings. Friday, April 26, 2019, 7:45 a.m. - 9:00 a.m.: Anabelle Morgan, C/A's new Head of School, will be the featured guest. Commonwealth Academy is a coeducational, college preparatory day school for average to gifted students who benefit from small classes and instruction designed to address various learning styles, including those students who have organizational, attention, or learning differences.